"On the evidence of the antiquity of man, afforded by the physical structure of the Somme Valley. Natural History Review, 1862, 2:244-269. John Lubbock was just a young archaeologist in 1859 when a bevy of geologists hastened to accept the idea of human antiquity. Lubbock grew up on the family estate in the village of Downe, right next to the home of Charles Darwin, who provided Lubbock’s introduction to the world of science. 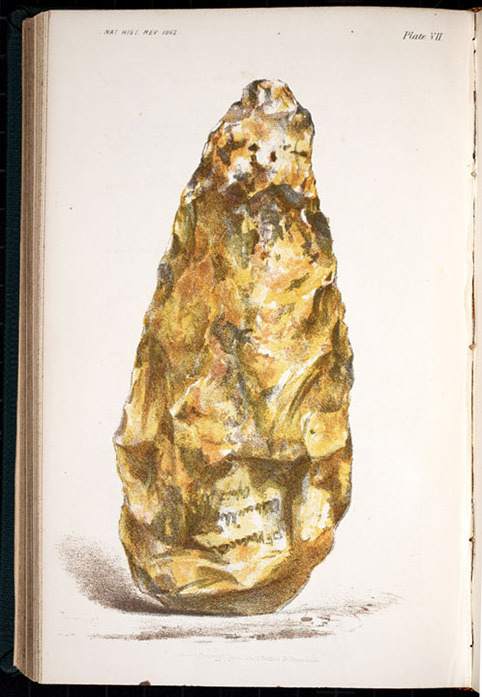 Lubbock travelled to Abbeville, France to see the gravel beds where Boucher de Perthes had found his flint tools, and Lubbock brought one back with him, which he turned over to an artist to depict. 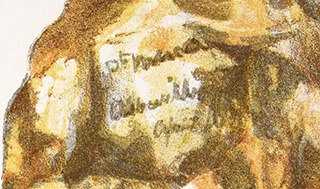 As Lubbock remarked in the caption, the image is so faithful that the artist even included the writing on the implement, made by Lubbock to record the location of his find.